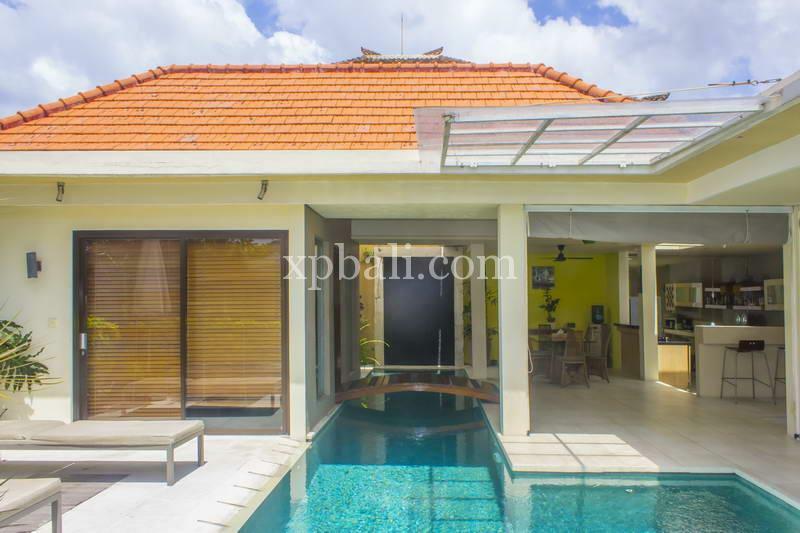 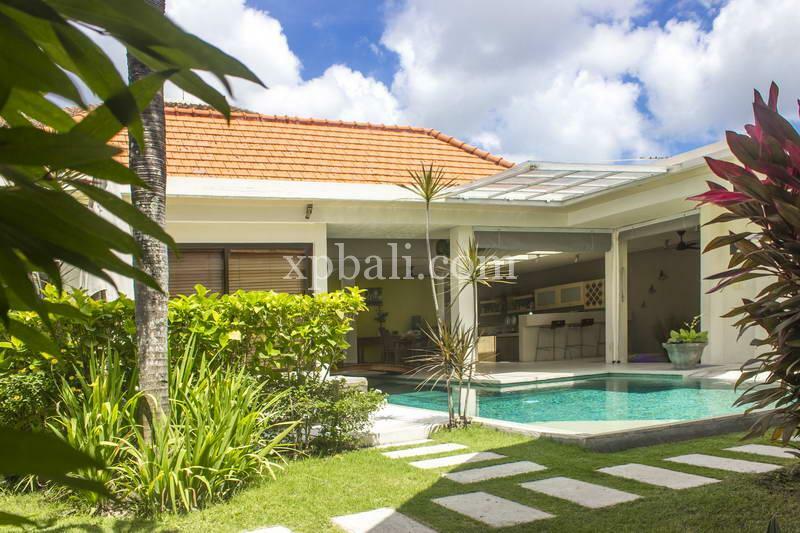 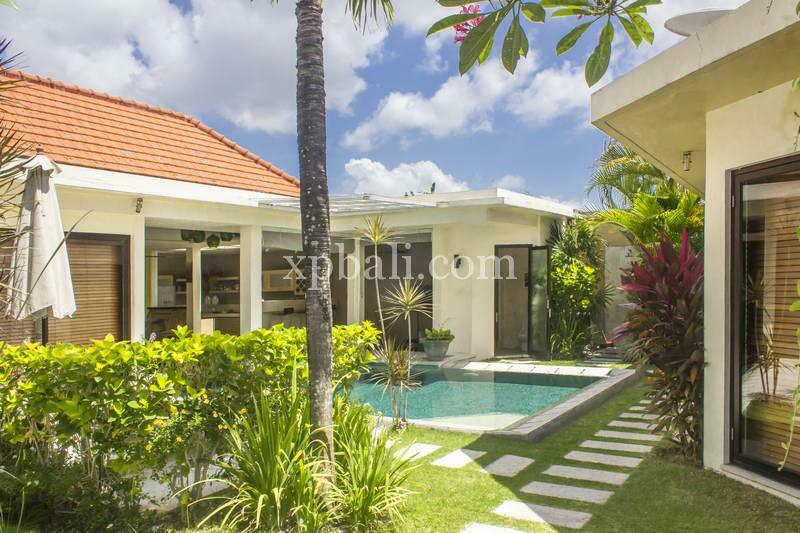 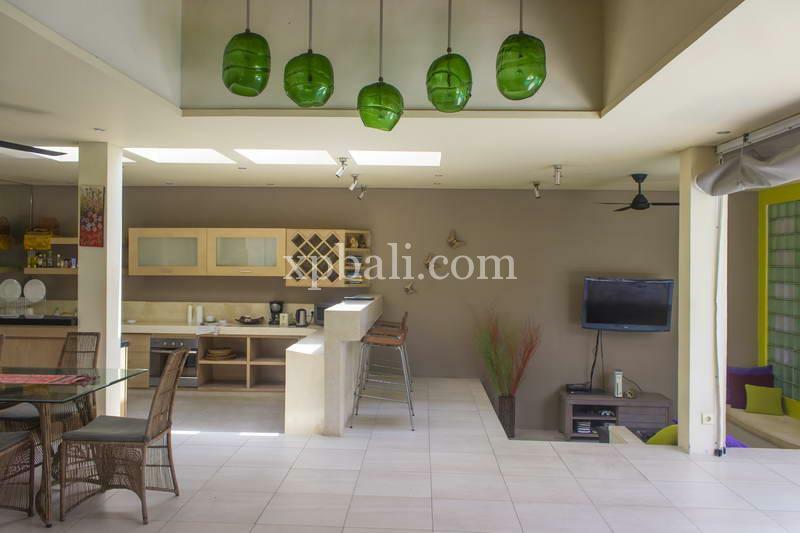 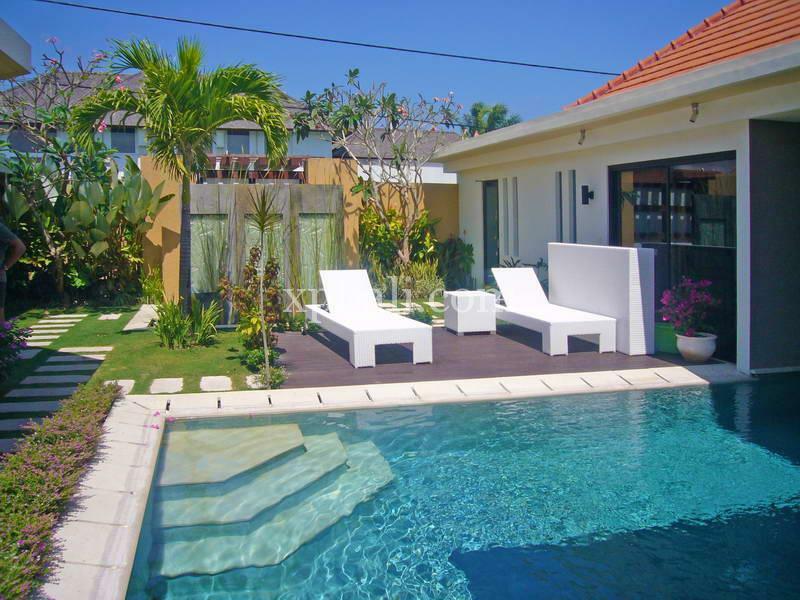 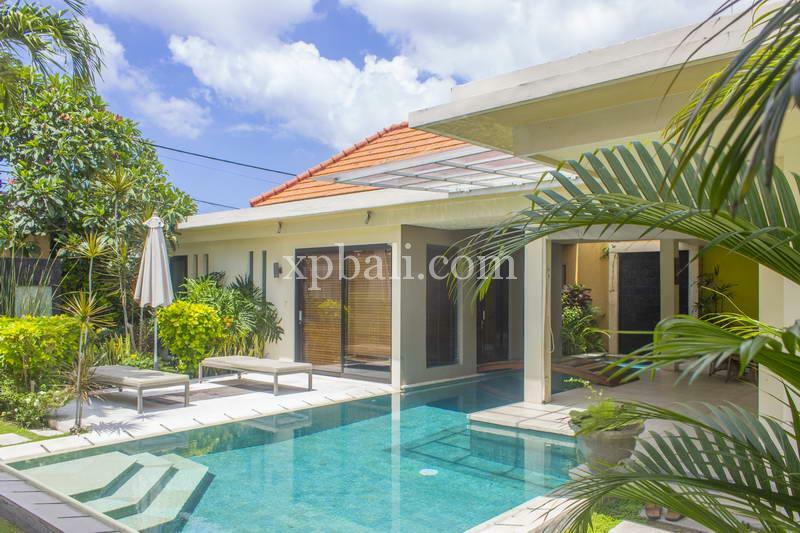 This beautiful freehold property located in a very quiet, safe and peaceful area of Umalas, with easy access to Canggu Brawa and Seminyak. 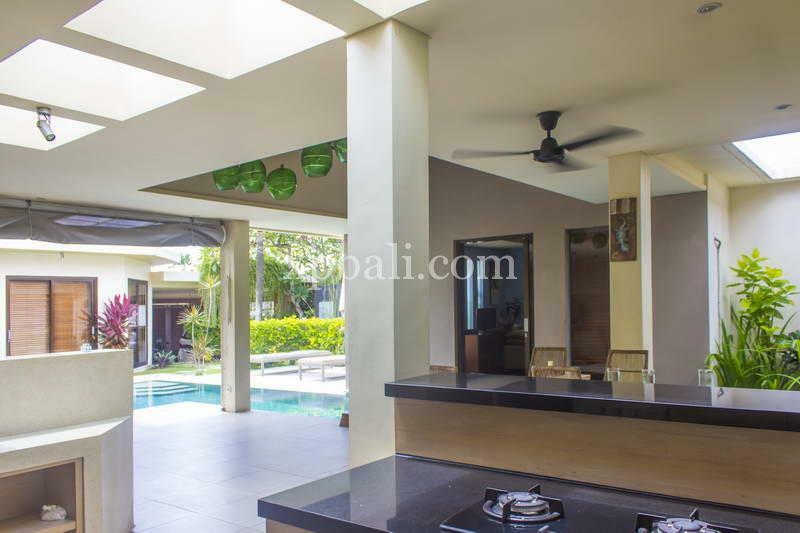 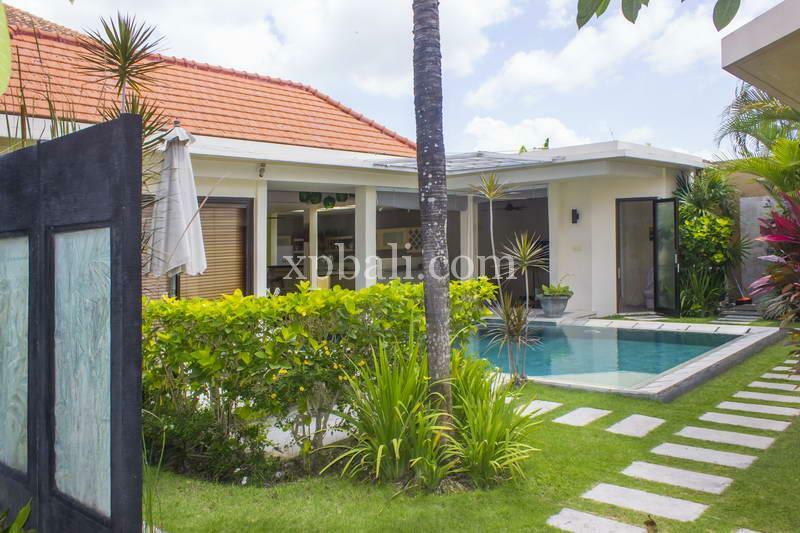 This house offers a very attractive price, built with a tropical design, surrounded by rice fields, providing a clean and fresh air all day long, for a better quality of your health and life. 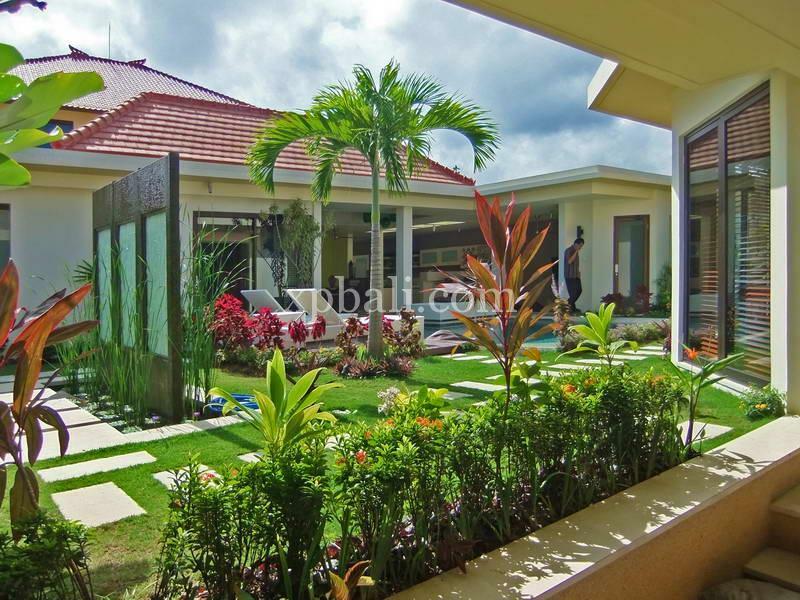 As you enter the main entrance you will are welcomed by a small beautiful garden and fishpond. 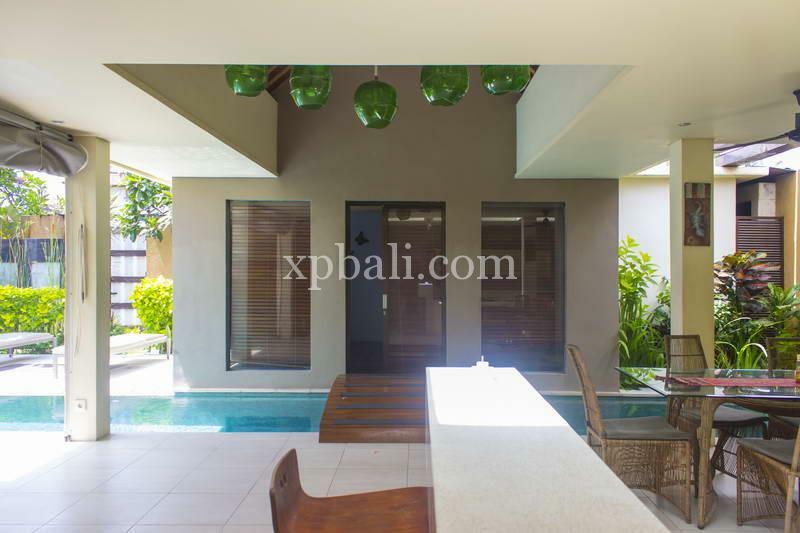 A sparkling L-shaped swimming pool separates the dining room from one of the bedrooms and is connected with a small bridge, giving a unique impression of an indoor pool, and a open atmosphere in the family room. 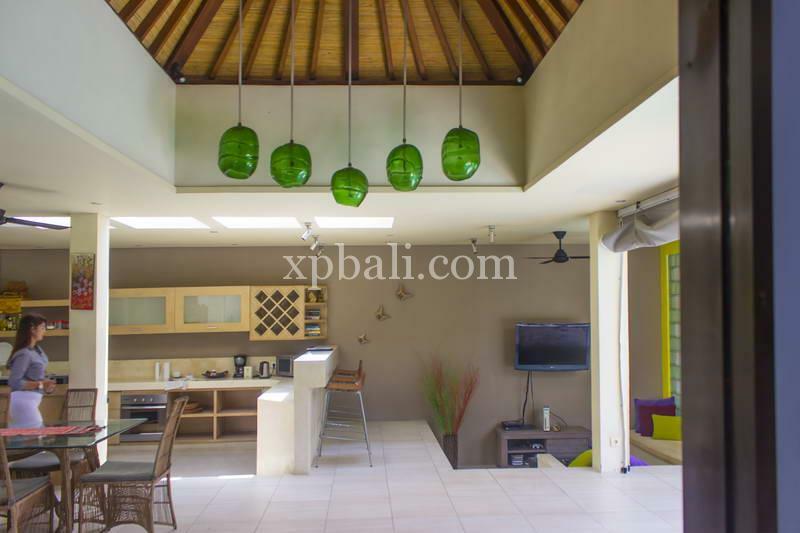 This villa features three bedrooms, with an open-plan living and dining area and a well-equipped kitchen for you to relax and enjoy time with your beloved family and friend.